This is a British magazine, and although this is a list of things that changed cycling as a whole, we kick off with something that changed cycling in this country, and probably changed it forever. Cycling was already on the way up in the UK. Politicians liked it, it became fashionable and lots of people discovered it was good fun to do; then 2012 happened. Team Sky and Bradley Wiggins won the Tour de France. And they didn’t just win it, they dominated it. What had seemed impossible was suddenly put into context. It was a bike race after all and not some mythical prize. A golden avalanche followed in the Olympics, and suddenly cycling mattered. Pro racers became national celebrities, and we all got a little more respect on the road. A pretty poor bunch aren’t they? They are uninspiring before a match, most of them don’t look like they want to be there during it, and they are unconvincing afterwards. They help cyclists look even better, thanks lads. I’m sticking my neck out to make a prediction next. These guys, most of them American at the moment but come on UK entrepreneurs we have a big history in this, will change what well-healed cyclists buy. You heard it here first folks. British frames: due a revival? Before these beauties bikes ran on open bearings; steel balls, either loose or held in a race. They were lubricated with grease, or if you were a brilliant mechanic looking for a performance advantage you could use oil. The thing is water got into them, so did grit, and they needed regular cleaning and even replacement, which was a faff. You had to take the component to bits, clean every part and maybe fit new ball bearings. They had to be set in grease, at which point a couple would roll under something, and the whole thing put back together again. Cartridge bearing ended of that and cycling is better because of them. Yeah, bad weather is bad news for cyclists, but look what it’s given us. The turbo trainer for a start, which you could say is a machine from Hell, but if cycling performance is your goal then it’s one of the most effective tools in you have. Then there are overshoes, thermal socks, breathable waterproofs, and gloves that keep your hands warm and dry without using enough padding to qualify for a boxing match. So much has changed for the better in response to it that bad weather isn’t the problem it used to be, and we all ride more because of it. They used to be aluminium with corks in the top, then they were hard plastic with stoppers that were difficult to use, now cycling drinks bottles are easy to squeeze and drink from. He was a great racer some say the greatest, and with merit. He didn’t win as many racers as Eddy Merckx, but Coppi won a lot and when he did win his margin was huge. But that’s not why he’s in this list. Coppi changed cycling because he was the first cycling star to become well known outside the sport. Coppi was a superb athlete who had a controversial life. It wouldn’t be controversial now but falling in love with a married woman, when you are married yourself, was controversy with a capital C in 1940s and 50s Italy. But even then the scandal was never portrayed as grubby, Coppi and Giulia Locatelli were a glamorous couple and their glamour, and all the publicity surrounding them, rubbed off on cycling. While we mention Coppi let’s have another Italian tale. It’s said that the colour of the Bianchi bikes Coppi raced on was inspired by the evening sky in Milan, it’s also said that it was the colour of an Italian princesses’ eyes that Edouardo Bianchi once made a bike for. 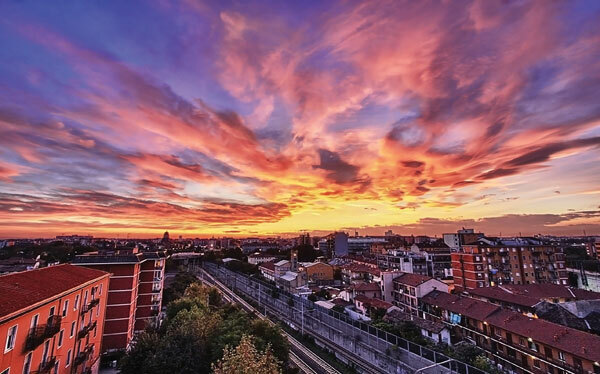 Inspiring skies or urban myth? Whatever, the colour is sky blue with a hint of green, and it’s called Celleste. In cycling Celleste occupies the place Ferrari red does in motor sport. It also signified the passage of the racing bike from rugged utility into a thing of beauty. The first modern cycling helmets were made almost entirely from this simple packing material. Helmets are more sophisticated now but polystyrene, or versions of it, still feature in their construction. Polystyrene has saved cyclist’s lives and made cycling safer. The American state gave us BMX and it gave us mountain bikes, two things that saved the cycle industry in the late 70s and into the 1980s, and became Olympic disciplines. BMX began in the early seventies when kids started riding their street bikes on the dirt tracks of Southern California, inspired by a motor cycling film called On Any Sunday. They rode any bike they could find, but the Schwinn Sting-Ray was their favourite, and within a decade manufacturers were producing bikes specifically for the new sport, which had shifted to purpose built tracks that copied the jumps and berms found on the trail. In contrast, mountain biking was born on the trails and, apart from some modern elite races, it has stayed there. Perhaps California played less of a part creating the mountain bike than with BMX, because cyclo-cross existed long before mountain bikes and cyclists have always taken their bikes off road, either on expeditions or just for fun. Even in America there was an off-road tradition in Colorado and on the East Coast, but California saw the most off-road activity, either exploring the trails or competing in downhill races on old bikes called clunkers. So the sport of mountain biking certainly began there, and the early mountain bike manufacturers like Joe Breeze, Gary Fisher and Tom Ritchey were all Californian, while another, Charlie Kelly invented the term mountain bike. Improved road surfaces were the first step towards modern road racing. When cycling started the best roads were cobbled and the others were just dirt tracks. It meant that although racers would start together they soon split up because it was very hard to slipstream. Things quickly became a procession of ones and twos trying to make their way as best they could. Better roads made slipstreaming easier, and they allowed faster riding, so it became crucial. That created the peloton, a mobile base in any race from which attacks are made, or where racers try to hang on. Road racing slowly became a tactical, team effort with support vehicles needed so team members could get back and do their job quickly after mechanical problems or punctures. We don’t mean what it is physically we mean what the peloton is spiritually, where ‘peloton’ represents the collective will of professional cycling. A few years ago when I was writing a book with Alan Peiper he said that the only way to rid cycling of doping was for the peloton to change the way it played the game. There’s evidence that this is finally happening, but we’ll hold a watching brief. There’s no doubt though that the will of the peloton changes things in cycling, both for good and for bad. Cycling can be a bit of a box, it’s a sport and a pastime built on tradition, things change slowly in it, and sometimes not at all. It’s a bit trite, but when things do change it’s because of people who think outside of cycling’s box. Take Boone Lennon for example, he’s an American skier who rode a bike and thought that maybe downhill skiing aerodynamics would help him ride it faster. He invented the clip on tri-bar, which spawned a whole new way of cycling and helped riders set new records all over the world. There have been many more free spirits since Lennon’s invention, most of them were laughed at in the beginning, but many of their ideas stayed long after the laughter died down. However, some of the freest, and we are talking Graeme Obree here, have had their ideas crushed by officialdom. What did we do before eye protection? We squinted, we got sweat and flies in our eyes and they ended up sore. You could buy off-the-shelf sun glasses, but they fogged up, they slipped down your nose, they were heavy and they weren’t very safe in a crash. Then along came Factory Pilots. Greg Lemond wore them, so did Phil Anderson; free spirits you see, and pretty soon everybody followed. They were designed for cycling, they didn’t fog, they were light, they didn’t slip and they were comfortable. They looked cool then, sort of, but looking back now they didn’t, they looked like ski goggles. Oakley brought out sleeker models, other manufacturers joined in, an industry was created, and cyclists never had sore eyes again. Not so much the back-up stuff, the recovery drinks, protein powders and vitamins. We’re talking about the stuff you put in your bottle and keep in your pockets for eating and drinking on the go. They changed cycling because all there was before was flat Coke (other sugary drinks were available) and glucose powder to put in a drink of your choice. Solid food meant cake or even sandwiches. Tour de France riders got ham baguettes and fruit tarts in their mid-stage musettes, and some had special concoctions dreamt up by soigneurs which were guarded secrets. Stomach upsets were frequent, so was the bonk. Riders couldn’t always digest the old fashioned stuff on the go, and even getting thing approximately right took care, planning and knowledge. Now all you do is mix some powder in a drink, stick a few energy bars and gels in your pocket and eat them as required. They are well-researched, tried and tested, sports specific, easy to digest, they deliver usable calories at just the right rate, and they are available to all. Sports nutrition takes the voodoo and guess work out of what to eat and drink on a bike. It’s created a fashion industry and brought fixed gear bikes back onto the road, which pleases the bike industry. That aside fixie bikes are good to ride and make great commuter bikes. And if you are really into it couriers have a vibrant, carefree cycling world all of their own that’s fun to discover. Full plastic mudguards you can fit and remove in seconds to any bike means you can ride your best bike through the worst of a British summer. This is good because riding a winter bike during spring and summer is just plain wrong. The initials stand for British League of Racing Cyclists, and they are the true fathers, and mothers, of road racing in this country. Bradley Wiggins and Team Sky can trace their ancestry back to the BLRC. Until they came along at the end of the 1940s time trials were the only races allowed on the open road. Bunched racing went on, but only on motor racing circuits or on airfields. Bike racing in Britain was run by the National Cycling Union (NCU) and it was in a state of stagnation. A war ensued, the BLRC won and the British Cycling Federation (BCF) was formed to run all cycling except time trials in the UK. In time the BCF became British Cycling (BC) which begat ‘The Plan’, which begat Wiggins, Cavendish, Hoy, Pendleton, etc, etc….., which begat Team Sky, and now instead of standing at the bottom looking up, Great Britain is at the top of the international cycling tree. Good traditional bike shops were great places. They were centres of excellence and places of inspiration, and in many cases they did what the internet does now by spreading the word of cycling through local initiatives. However, they could also be cliquey and intimidating. In many cases this wasn’t what they set out to do, but it happened. And the bad ones were just plain awful, rude and condescending. Modern retailing has changed that, at the cost of some character admittedly, but modern shops, especially the big chains, aren’t intimidating at all and that helps put more bums of saddles, which is good. 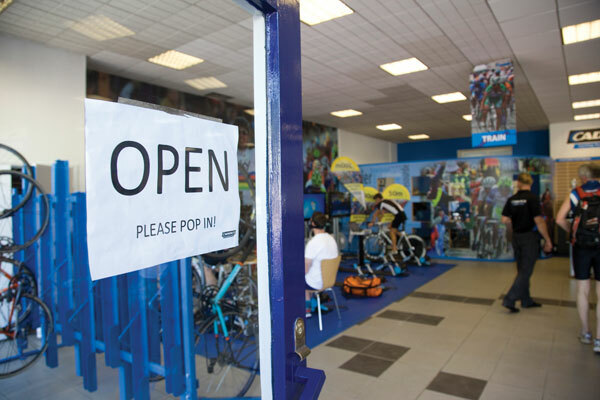 But where modern retailing scores best is when it’s practiced in good independent bike shops. They do all what the traditional shops did, but they have gone up a gear. They display things with thought, they understand good stock control, and are supported by modern suppliers, and they invest in proper staff training. Sportives gave cyclists another option to compete. They aren’t races; we’re talking about competition in the sense of setting a personal challenge, getting round a tough course or setting a good time. Sportives are anything you want them to be, and they are usually held on routes where racing would be unfeasible, so that means they can be spectacular. Road racing, even at a basic level, involves a level of skill, particularly in how to follow the rider in front and stay in a bunch. Even if you are whippet fit and as strong as a horse, staying with the bunch is crucial to road racing, and if you can’t do it your race will be over very quickly. You will be doomed to a sombre plod around however many laps are left, or an early shower. It’s not the same with sportives. All ages, sexes, fitness and experience levels ride one route. The field quickly splits and you will always find a group to ride with, flit from one group to another, going forwards or back depending on how you feel, or you can go it alone and make your own way round, it doesn’t matter. Sportives are freer than racing, more accessible, but when you’ve done a few try a race, or not; it’s up to you. But if you do decide to race then join a club because riding with them is the best way to learn the skills for road racing. Before this was invented short inserts were real chamois, which although it came from a dead animal it seemed to be alive. Real chamois needs to be cared for, washed gently and slathered with cream to keep it supple. Make a mistake and real chamois turned to cardboard. It could also turn on you, little imperfections caused friction and real chamois could hold dirt. Saddle sores, boils and even abscesses were caused by real chamois. They must have been because they’ve all but disappeared since synthetic chamois came in. Saddle injuries, as these things were euphemistically called, have brought Tour de France stars to their knees, and we daren’t go into the damage women cyclists suffered. Women still get a generally bad deal from shorts and saddle design, but for men synthetic chamois was a cycling game changer. It’s mostly of uniform quality, you follow the washing instructions and basically you can forget it. No more sores, no more stories of pro racers riding on uncooked steak so they could keep racing when their crotch was ridden raw, and no more races lost, as happened to Laurent Fignon in the 1989 Tour de France, by debilitating boils and abscesses. Light tyres that ride like tubs, puncture resistant tyres, dual tyre compounds that combine extra grip and less rolling resistance; they’ve all improved our cycling lives. Before lycra cycling kit was wool, which wasn’t so bad provided you could source the good stuff that European pros wore, and plenty of it because wool lost its properties quickly and needed looking after. Most wool stuff though was baggy and ill-fitting, uncomfortable to wear and hopeless in the wet. Then along came lycra and cycling suddenly got better. Bright colours stayed bright, lettering was incorporated in the material not stitched on after, and lycra fitted well and kept its shape. Mixed with other materials lycra wicks sweat so you don’t get cold and clammy, it can be made cool for summer clothes and warm for winter ones, and it’s friction free and comfortable to wear. I’ve gone for these above power meters because power meters have refined training, they didn’t change it like heart rate monitors did. Heart rate monitors provided the first window on what was going on inside the body when a cyclist trains, but more than that they gave riders and their coaches numbers to work with, and that took the guess work out of training. Numbers are power, they give you control because they can be worked on, and in the early days of their use the key number heart rate monitors gave was heart rate at anaerobic threshold. Sports scientist knew for a long time that there was a ceiling to steady state performance, and that if athletes trained near that ceiling but didn’t exceed it they could push the ceiling up to a higher level. The problem was determining at what exercise intensity the ceiling occurred. Then an Italian, Professor Conconi, discovered a link between heart rate, exercise intensity and the ceiling, which he called anaerobic threshold. He used the basic monitors available at the time to establish what heart rate the ceiling was for each of the athletes he trained and prescribed training sessions just below it. They became world beaters and when coaches adopted his methods, and monitors became widely available and easy to use, everybody could establish and train their individual ceiling using the Conconi method. For that we need to thank the professor, although he will go down in history for his other work, the introduction EPO to endurance sports. We have a lot of world-beating bike racers now, far more than at any other time in British cycling history, but they aren’t a breed of mutants. There has always been talent in the UK, but there was no real system to develop it. The champions we had just had extraordinary self belief and did it alone. Now there is a system, a well funded one that is the envy of the world. Talent doesn’t get wasted anymore, instead it’s nurtured and directed along the right path. This is facilitated by the vision and quality of the coaches and administrators involved in cycling now, but it’s only made possible by money from the National Lottery. I can’t vouch for carbide lamps, although my grandfather swore by them, but the battery powered ones we had in the seventies and eighties were a flickering unreliable nightmare. Rechargeable batteries and halogen bulbs improved things a bit during the nineties, but they leaked and drank power respectively. Rear LED’s that flash or stay constant, take seconds to fit, and use hardly any juice, together with laser-like front lights have changed night riding beyond recognition. Not only can other road users see us, we can see where we are going. Where before you had to really know a road to ride it in the dark, modern lights allow us to go anywhere and even ride off road with confidence. By the way, try that if you haven’t yet, it’s fun. 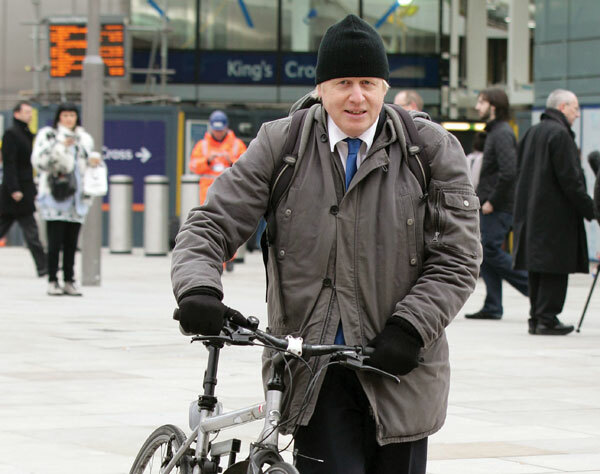 His bikes have changed the look of London’s streets already, but Boris’ potential to change cycling could be great. He’s a cyclist, he doesn’t ride for publicity like many politicians do, he believes in cycling. The thing is Boris could be Prime Minister one day. Think of that, a cyclist in Number 10. Now that would change things. Heart rate monitors started to take the guesswork out of training, the published work of sports scientists continues to do the same. Training methods used to be closely guarded secrets with only national teams and top professionals given access to them. Now the kind of training Team GB do, for example, is out there for everyone to follow. Get a coach who understands this stuff, or even a good book, and anyone can change their cycling for the better. It changed cycling for fans and riders alike. Television is the key to sponsorship, when European pro cycling was first broadcast live in 1960 it changed cycling sponsorship forever. There were few sponsors from outside cycling before that, but most teams were sponsored by bike manufacturers. That changed throughout the sixties so that by 1970 of the 25 teams that contested major races only Flandria and Peugeot were headline sponsors who made bikes. Others made pens, kitchens, white goods, coffee machines and were household names with big budgets. Pro racers got richer because of TV, and the importance of TV in sponsorship has grown exponentially since then. So much so that it accounts for the current crisis facing women’s cycling. Great racers who are really popular with the public are finding teams folding around them because women’s races aren’t televised, while male pros get paid more and more because their races are. Television made cycling for fans. People who don’t even ride a bike watch the Tour de France because of its magnificent setting. And for those who can remember cycling delivered in ten minute snatches by World of Sport on an occasional Saturday afternoon, the kind of coverage we get now is almost hypnotic. We didn’t say this was all about good changes, but EPO certainly changed cycling. 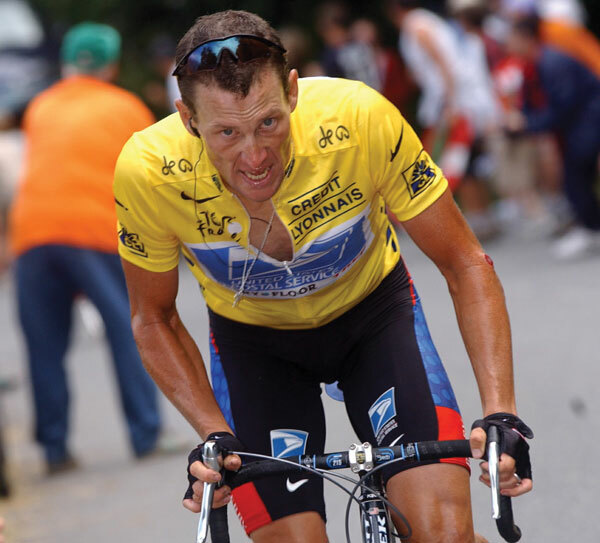 It’s slightly delusionary but pros from the pre-EPO era have said that it was a drug that had to be kept secret because it made a difference, where they argue that things like amphetamines and steroids didn’t. They are right about EPO, but even setting aside the morality question, which cycling has always found easy to do, they are wrong about the rest. Amphetamines and steroids did make a difference, but they didn’t turn donkeys into race horses, and EPO did. Peter Winnen, a climber who won two Tour de France mountain stages, including one on Alpe d’Huez, remembers when EPO came into the peloton towards the end of his career. “It was the early nineties and in the first races there were guys who couldn’t climb to save their lives and they just left me behind on the hills,” he says. 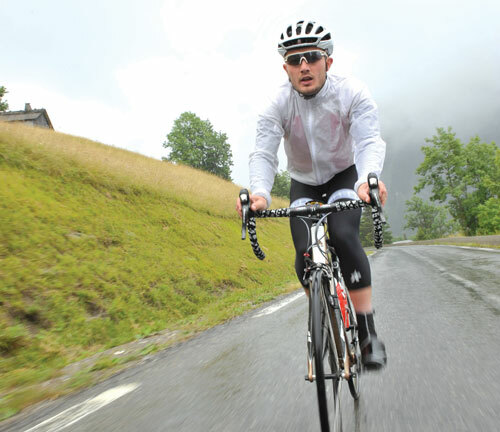 EPO gave a quantum boost to cycling performance and riders became hooked. A test was developed to detect it but by then blood boosting was where cycling was at and an arms race ensued. Much of what went on is finally out in the open now, put into the public domain and into context by Tyler Hamilton’s book ‘The Secret Race’ and by USADA, and it was ridiculous. All of those involved had their fingers on the same trigger, if they had all let go of it the results would have been more or less the same. Maybe some kind of sanity could have been restored. The best hand-built wheels were amazing, but the best builders couldn’t be everywhere. Modern machine-built wheels bring consistency to wheel manufacture, so much that a broken spoke in even the lightest wheels is rare. But more than that, modern materials and a deeper understanding of the forces acting on a bike wheel have improved them immeasurably. What would have been radical designs, and even impossible ones, a few years ago are now commonplace. And although you can pay the earth for top-end wheels the technological breakthroughs in wheel manufacure have trickled down through all price levels. At one point I thought that it might have been better to let the EPO days drift into history, that better anti-doping practice and a new morality had prevailed in pro cycling, so let’s leave the past where it is. I don’t think that now. I still think the sport is healthier than it was, but I also think that revealing the full extent of the madness is deeply cleansing. 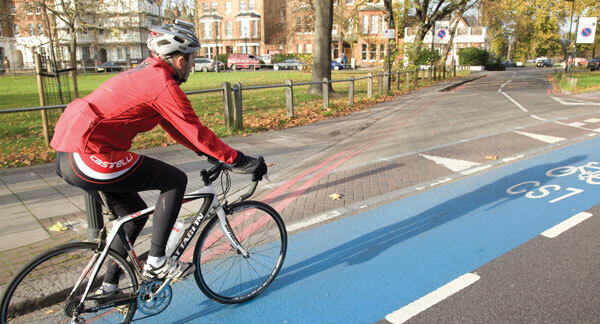 It should make everybody involved in cycling more determined not to let it happen again. There are casualties. The current generation of pros will be under suspicion when they probably don’t deserve it, but just as everybody in cycling has had to take a long hard look in the mirror they will have to put up with it for the greater good. USADA changed cycling in probably the most dramatic way possible. So dramatic that I don’t think we fully understand the extent yet, but it feels good, it feels right, and cycling feels a better place because of it. Again, it’s not a change for the better but the vastly increased use of motor vehicles has changed cycling. It’s less carefree than it was, less sociable at times too. Aluminium is light, cheap and plentiful, so potentially it’s always been a great bike building material, but it was difficult to weld. Joining aluminium tubes with glue was expensive, so there was no clear advantage in using it. TIG welding changed that. TIG welding means anyone who wants to try cycling has a vast array of good quality cheap bikes to choose from. These have changed two things; they mean you don’t have to be an absolute racing snake to ride the great mountain climbs of cycling and enjoy them, and they have opened up some spectacular new places for pro racing. Ok, not all pros use compacts to climb super steep mountains like El Angliru and Monte Zoncolan, but some of the best climbers do, and compacts allow them to dance up rather than grovel up their slopes. They can race instead of it just being a dour struggle to reach the top. The way Alberto Contador uses gears as low as 34 x 28 to make savage yet graceful attacks in wild settings where people rarely walk, is one of the great spectacles of 21st century cycling. Side-pull brakes were a bit of a bother before these. They tended to pull one side more than the other, and all sorts of after-market ways were developed to prevent it. Fiddling with the tension of return springs or fitting them a bit lop-side were two ways. They also tended to squeal when applied, but twisting the callipers so the front of the pads bit the rims first stopped that. And they never worked well in the wet. 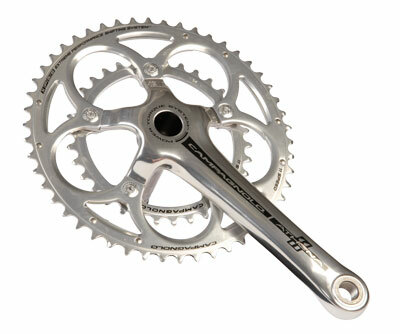 Campagnolo’s beautiful Super Record side-pulls changed that, but boy were they expensive. Although cycling is a world-wide and multi-disciplined sport, pro road racing is still seen as the pinnacle and Europe, particularly France Italy and the Belgian region of Flanders, is its home. Their languages run through cycling. Peloton, domestique, grinta, kermesse, criteruim, pave, berg and many more French, Italian and Flemish words are the lingua franca of cycling. It’s only fair because Europe is where pro road racing began. The Grand Tours, the Classics, they are all over 100 years old or at least knocking on a bit. Those races are cycling’s tradition, their roads are where the imagination of cyclists all over the world dwell. How many reading this have a road where you ride that looks a little bit like the Forest of Arenberg, or could be part of Mont Ventoux, if you squint. That’s how Europe has influenced road racing all round the world and changed it into a hybrid of what it is in its historic home. Almost all sport is big business today, but cycling was business from the very start. Cycle races evolved during the earliest days of bike manufacture and racing success was quickly seen as the best way to sell bikes. Cycling became professional almost before it was amateur, and the quality early manufacturers wanted to get across most was the durability of their brand. This meant that bike races got longer and longer. Prizes and pay were good so the strongest racers were attracted to the sport, but prizes and pay meant pressure, suddenly a young man who wanted fame and money also had the future of a factory on his shoulders. All he had to do was win an insane race like Bordeaux to Paris by pedalling a 20 kilogramme bike for 500 kilometres non-stop through night and day, heat or cold and over unmade roads, and his life was made, and so would everybody else’s back in the factory. No wonder doping caught hold early and has been so difficult to shake from professional cycling. It never held any Corinthian ideals of taking part; winning was everything right from the start. From wind tunnel testing to borrowing materials and manufacturing processes, cycling has benefited from two places where speed and efficiency counts and aerodynamics is crucial. They don’t define the bike but they helped refine it. Steines worked for the original Tour de France organisers, the magazine L’Auto, and he loved mountains. He nagged his boss Henri Desgrange into routing the race over the Ballon d’Alsace in 1905, the first time it sought out a mountain to climb, but all the time he had his eye on something much bigger. Steines believed that cyclists could race over the Alps and Pyrenees, so in May 1910 Desgrange allowed him to do a feasibility study in the Pyrenees. He drove from Paris down to Pau then set off up the Col d’Aspin. It wasn’t easy but he got over it ok. He enlisted some local help for the Tourmalet, but his guide abandoned him when their car got stuck. The 1910 Tour was routed over the great climbs, and mountains have been part of cycling ever since. They aren’t ideal, and some are ludicrous, but cycle lanes reserve part of the road for cyclists, at least in theory, and their presence increases everybody’s awareness that we are there. Cycle lanes happened because of increased traffic, so they are a necessary evil, and there’s still work to do on them. How many families have become cycling families because of the work of Sustrans? Their efforts to convert old rail lines and the like into bike ways has helped make cycling the vibrant pastime it is today. Honourable mention should also go to the Byway project, which seeks out less travelled ways for cyclists to use on the open road but with an added heritage aspect. The Cyclists Touring Club (CTC) has also changed cycling by always being there and keeping up the fight for cyclists and cycling on every front. Bike saddles used to be made of leather; they were heavy, they had to be broken in to fit you, which hurt, and they were difficult to care for. Modern saddles are light, they come in many shapes and sizes, and once you find one that suits, you can almost forget they are there. You can race your mates without them being there, or even knowing. Strava is a healthy vent for competition, although you can cheat, but if you cheat on Strava there’s really no hope for you. The first derailleurs made the life of ordinary cyclist much easier, although professional racers had to wait many years after their introduction before they were allowed use them. 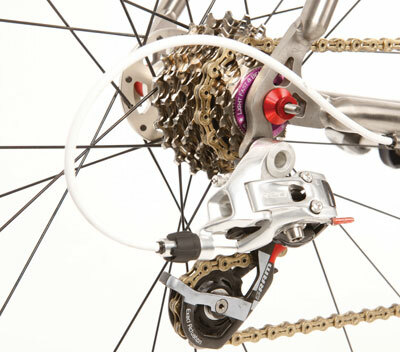 But when the pros eventually did, derailleur gears made racing faster, closer, more exciting and much more competitive. When cycling started everybody had one gear. By the time racing really got going competitors could chose from two out on the road. To shift they stopped, removed their rear wheel, unhooked the chain from the sprocket on one side, swapped the wheel around and hooked the chain onto the sprocket on the other side of the hub, put the wheel back in the frame, tightened it up and off they went. Derailleur gears were available from the end of the first decade of the 20th century and they slowly crept into racing, but they weren’t allowed in the Tour de France until 1937. When they did they changed it into a race you would recognise today. The first shifters were little levers and rods located on the seat stays for rear mechs and seat tube for front mechs. They involved the rider leaning down, while still trying to look and steer straight ahead, to make the shift. Shift levers soon migrated to the down tube, close to the head tube, where they pulled and released a cable connected to each mech. The shift lever was held in place after each shift by friction. They weren’t very accurate. Riders had to develop a feel for how far to move each lever to make single shifts. Over shifts were easy and sometimes the lever had to be micro-adjusted on the move to make it work. But the biggest problem came at the worst moments. The chain could auto-shift and jump from a bigger sprocket to a smaller one, especially when the rider was giving it full gas on a climb or in a sprint. Things stayed like this from the late forties until the late 1980s, when indexed shifters came in. Still on the down tube, but one click made one gear shift, and the chain stayed in that gear until the rider made another. That was breakthrough enough after forty years, but a few years later the first brake lever gear shifter combination was developed. It was Shimano STI. Phil Anderson was Shimano’s peloton test pilot, shadowed around Europe by a Japanese mechanic called Bando who tinkered and adjusted on Anderson’s feedback until the product was perfect. It slows down traffic but it’s a cross for cyclists to bear. Street furniture hasn’t helped bike racing either. Road race course have been lost in the UK and it’s made some European road races, notably the Amstel Gold race, more dangerous than they need be. 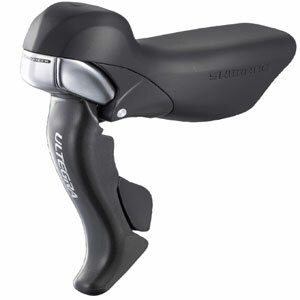 To maximise power and efficiency a cyclist’s feet must be attached to the pedals. Toe clips and straps did the job before clipless pedals, but although they were secure, so secure that track sprinters still use them, they caused a lot of collateral damage. Straps had to be tightened before a climb or a sprint, and at other times in races when the heat was on, otherwise they didn’t work so well. That could cause pain and discomfort, especially on hot days. And if your feet were strapped in tight when you crashed you went where the bike went. Shoe plates were and even bigger bug bear. You had to have these grooved bits of metal on the soles of your shoes to grip the pedals, or the clips and straps weren’t effective, but they were difficult to fit and they held feet rigid, which could cause knee problems. Clipless pedals ended the pain. Using them is intuitive; foot in, heel down, click and you’re in. Twist and you’re out. Clipless pedal allow your foot to move during each pedal revolution, which accommodates the little physical imbalances and idiosyncrasies nearly everybody has and which clips and straps punished. They might not gleam and glitter and catch the sun like chrome toe clips did, but clipless pedals certainly made cycling better. It’s changed everything. It’s changed the way we get news, the way we socialise, the way we shop and the way we spread information. But for once cycling just reflects society in this. It’s not just Brailsford, it’s everybody who shared his vision, who was part of the plan, who beaver away or have beavered on behalf of British Cycling over the last nearly 20 years in Manchester, and all over the country. They helped win the Tour de France, they helped Team Sky become the leading light in pro racing, and they helped create the gold silver and bronze avalanche at the Olympic Games, Paralympics and in the world championships that we’ve been enjoying for a good while now. But Brailsford is the figurehead, it’s his plan, he made the predictions and he took ownership of any failure, so the success is his too. 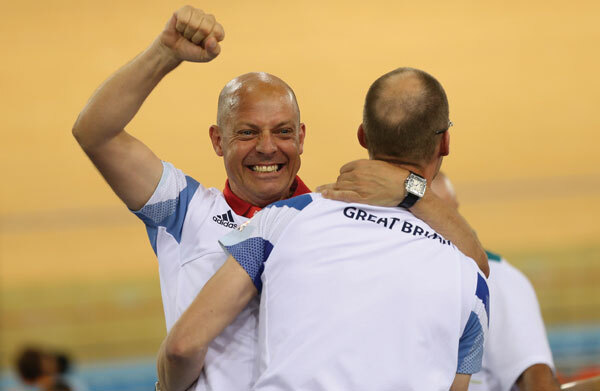 The buck stops with Brailsford, and so should a lot of the Kudos. Brailsford has not only changed cycling in Britain, he’s changing cycling around the world now. He hasn’t always been popular, his PR-speak interviews can leave people cold, he is ruthless too, but he loves cycling and there’s just enough of a river boat gambler in him to make him interesting, and make it worth keeping what he says and does under close scrutiny. Sky was a gamble, Brailsford promised them participation in the 2010 Tour de France, it was a condition of the deal, when he didn’t know if the team would get it. He also promised a Tour de France winner within five years, when he didn’t really know who it would be. He delivered, which is great, fantastic even, so long as he also knows when to hold and when to fold.